Emily is our lovely model. 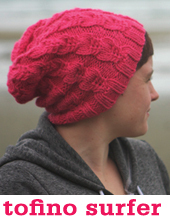 If you are in Vancouver you have probably met her at a show, seen her lurking around yarn shops, or perhaps confused her with designer Emily (it happens, we get it). 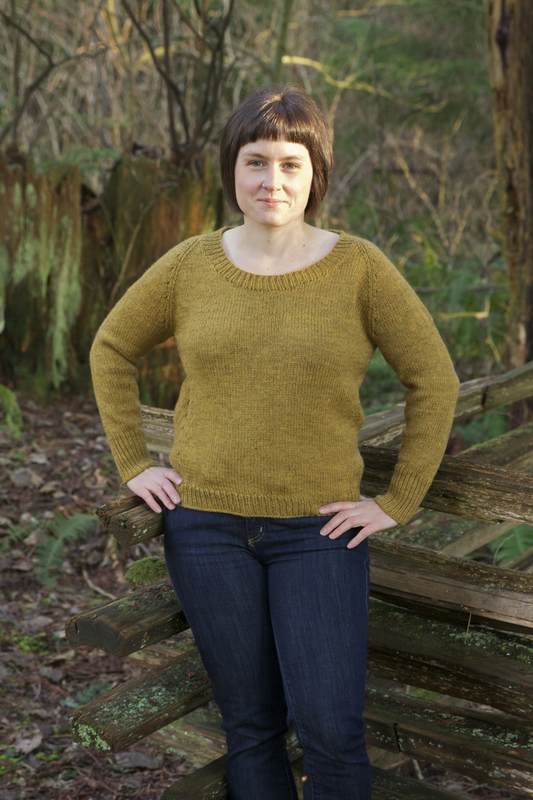 Emily is also a big fan of ours and an avid knitter, most recently smitten with sweater knitting! Here is the low down on what Em has been knitting up. 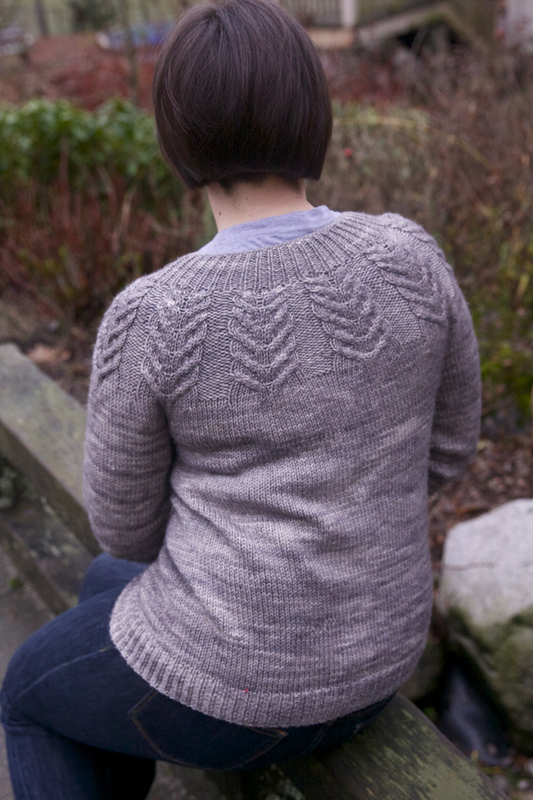 First up is her Grace cardigan by Jane Richmond. When we went down to Seattle for Vogue Knitting Live last year Emily and I went a little crazy at the Hazel Knits booth. 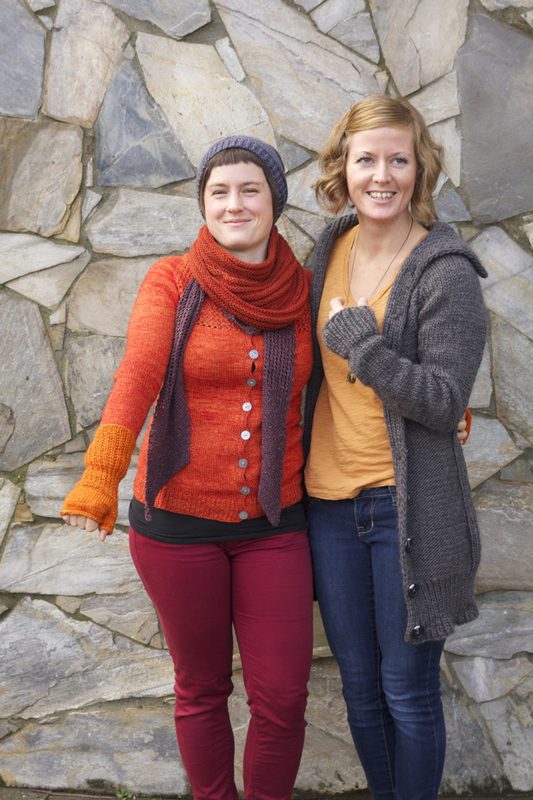 I still have 2 skeins on a pedestal for the perfect project, a couple of skeins became a sweater for Hunter (more on that some other time), and Emily walked away with a sweaters worth of Artisan Sock in ‘Zest’ (and I think another skein or 2….it was a bad day for our wallets). The sweater was Emily’s first completed sweater for herself and it is fantastic! Emily with Jane wearing ALL the Jane Richmond designs! 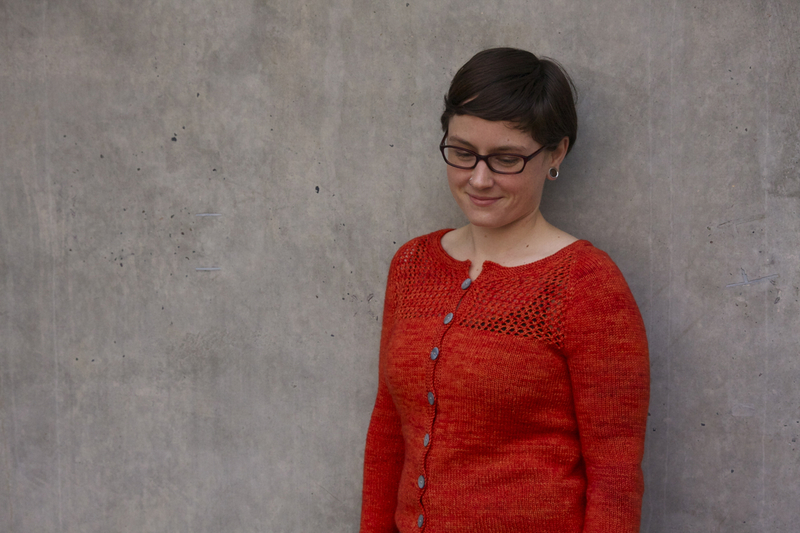 Next up is Emily’s Low Tide Cardigan. I can’t remember when she scooped the lovely SweetGeorgia Tough Love Sock in Cherry but the combination of yarn and pattern is amazing. She even trekked to Button Button to get the same buttons we used on the original. She managed to get some beautiful glass buttons (ours were plastic) and they sparkle against the bright red. 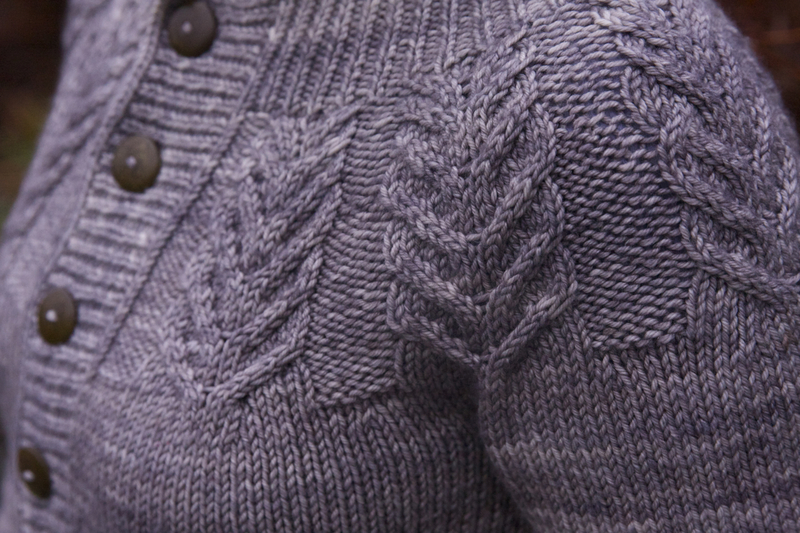 Emily hadn’t considered the Antler Cardigan until she tried on our sample at Knit City. It was just a hop skip and jump over to the Sweet Fiber booth for some Cashmerino Worsted in Smoke! She whipped this sweater up in no time, I think it was only a few weeks since she was ready to wear it by Christmas! 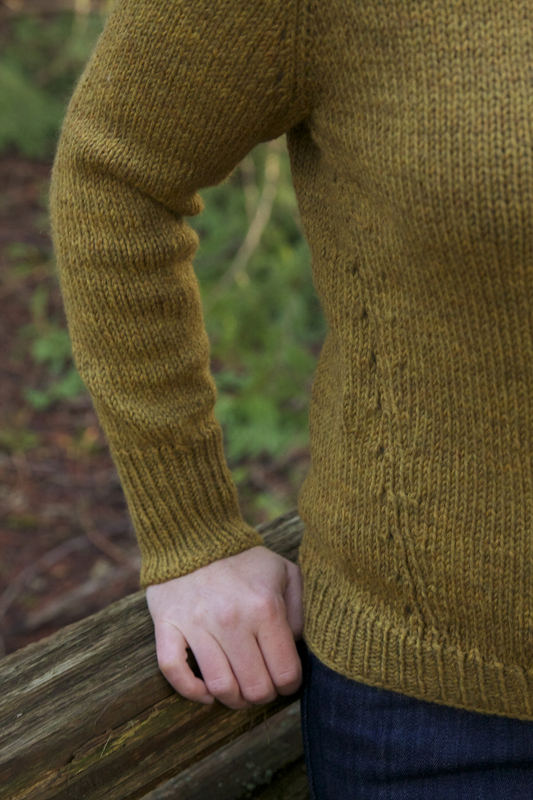 I love the way it looks in this colour, a beautiful neutral with hand dyed interest is the perfect yarn for a simple cable yoked sweater like Antler. The most recent conquest by Em is a sweater she knit as a gift. 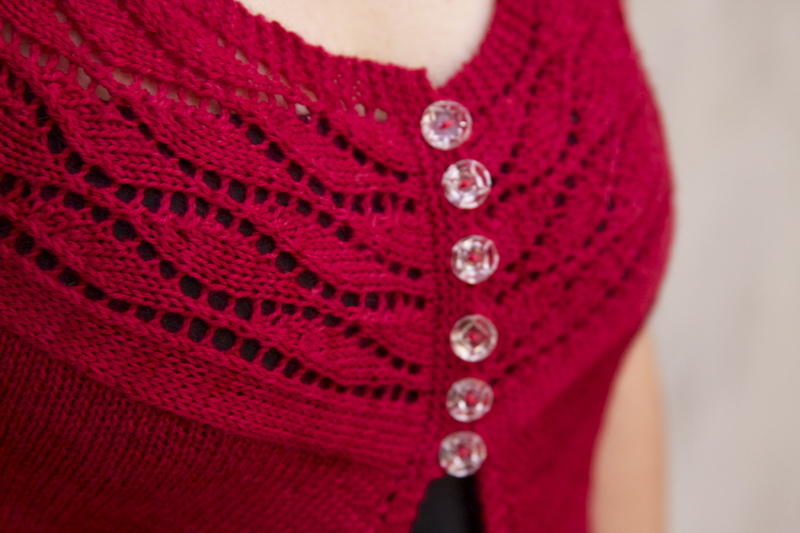 She knit up Beeline by Heidi Kirrmaier in Cascade 220 for a friend. I think she might be a little jealous though and I’m sure another one is in the works for herself! 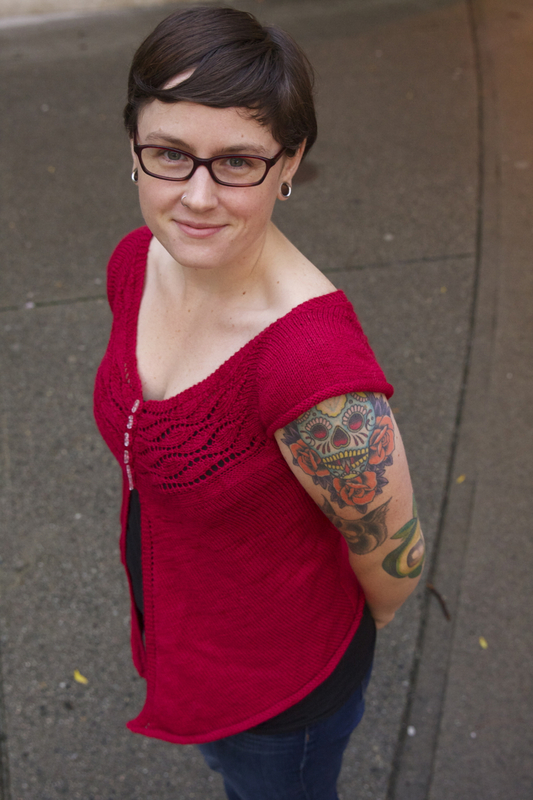 You can check out all of Emily’s knitting exploits on her Rav page (including any project details you might be interested in). 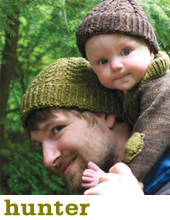 Have you been knitting sweaters? Tell us what’s on your needles! Can you tell me what that gray sweater Jane is wearing is called? I love it! 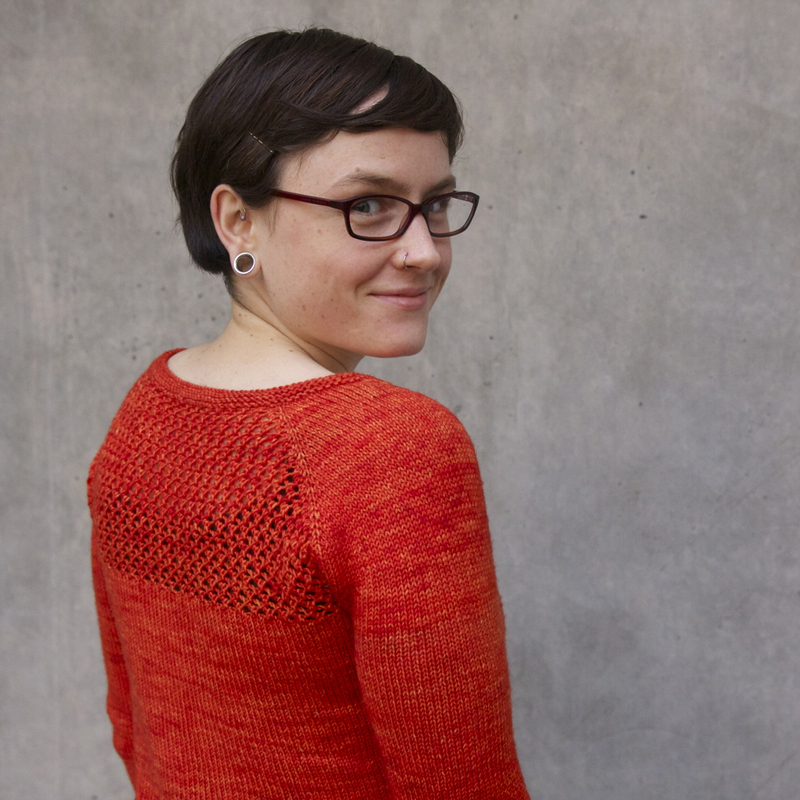 Maybe tin can knits can make a long cardigan! Thanks, ladies! Simply Stunning. :-) If only I had more knit-time! I have Jane’s Audrey on the needles. And a ton more in the queue. Speaking of socks, we were weren’t we? I have some Monkey’s on the needles in Davie Street Gourmet Crafter Sock, and for a colourway I would never choose for myself, I’m loving it. It makes me smile when I see it sitting on the living room side table waiting for me!